Believe it or not, tonight was my first time trying the infamous Fat Jack’s in Clovis, Ca. & let me just put it out in the open that this is not the place for a skinny Sally, it definitely caters to us chubby kids. 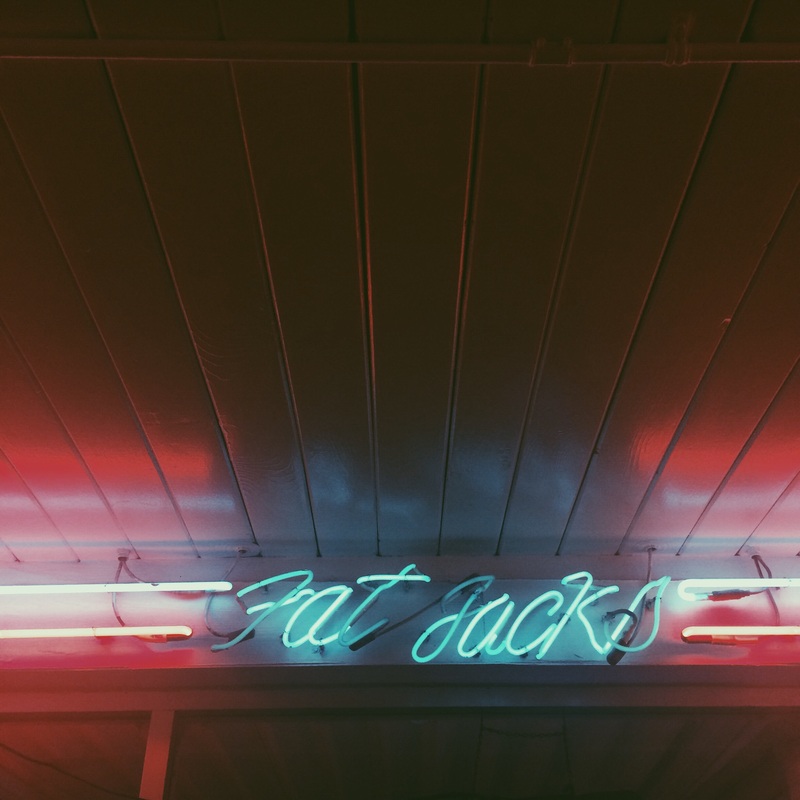 Fat Jack’s has a really cute aesthetic, filled with neon signs, pink tabletops, & Marilyn Monroe cutouts, total 50/60’s feel. The menu is pretty straight to the point; burgers, dogs, chili & other foods you’d expect to find in a diner. Sometimes, I prefer a menu with little options so I don’t have a panic attack wondering if I ordered the wrong thing. In n out for example, burger, fries, drink, that’s it. Back to Fat Jack’s… I ordered a Fat Jack Burger, added jalapeños & guacamole on the side, chili cheese fries, & a vanilla Coke. It’s been a while since I’ve had a burger & this one definitely hit the spot, it had that homemade feel/look to it. To my surprise the guac was actually decent. The chili cheese fries were so cheesy & fresh, yum! Vanilla Coke was the perfect drink to wash all of this down with & kind of completed the whole experience! I’ll definitely be back for chili cheese fries. Previous Fall’s here, so stay warm.